A website design template for corporates done using very soft shades. Site news and user login box are also showcased on the home page. Add your site name and logo. 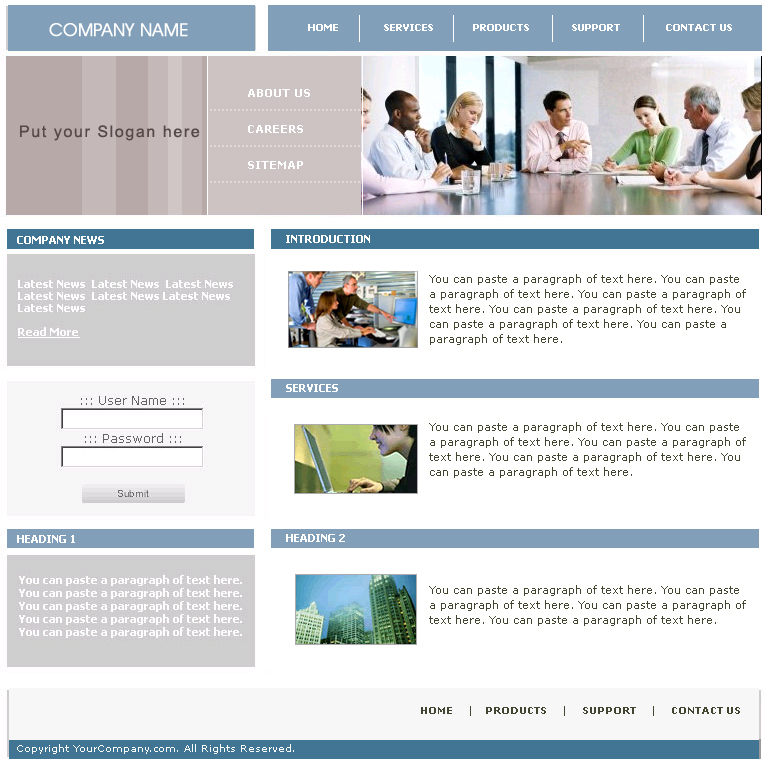 Photoshop / Imageready, Dreamweaver / Frontpage are required to customize this web design template.